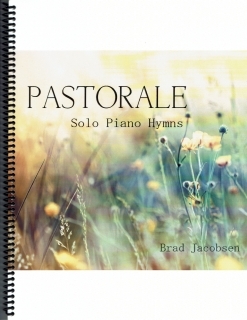 Pastorale is the companion sheet music book to Brad Jacobsen’s 2016 album by the same name. All ten songs from the album are included, transcribed note-for-note to the recording by John Zechiel and proofed by me. 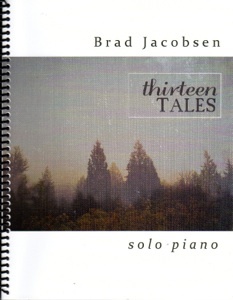 Two of the pieces are medleys, bringing the total number of songs to twelve, beautifully arranged for solo piano by Brad Jacobsen. Regardless of whether or not you have any religious affiliation, these piano solos are gorgeous and fun to play. These updated arrangements are true to the original melodies of the hymns, most of which are very well-known. The books are spiral-bound and printed on bright-white, medium-weight paper stock. The notation is very clear, easy to read, and includes pedaling suggestions and metronome settings. Some of these arrangements are longer than others (see below), giving a lot of flexibility for church musicians to use the music at various points in a church service. None of the arrangements are what I would call difficult. 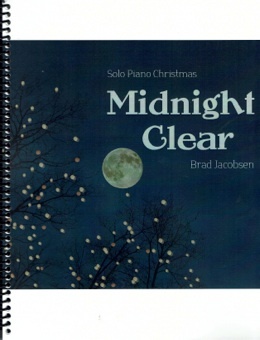 Some are suitable for intermediate-level pianists with some practice, and others are somewhat more advanced, but not difficult. This is an excellent collection of hymn solos for playing for pleasure or for church pianists. I highly recommend it! 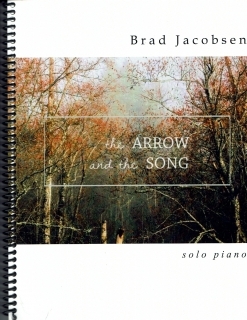 It is available from bradjacobsenmusic.com.